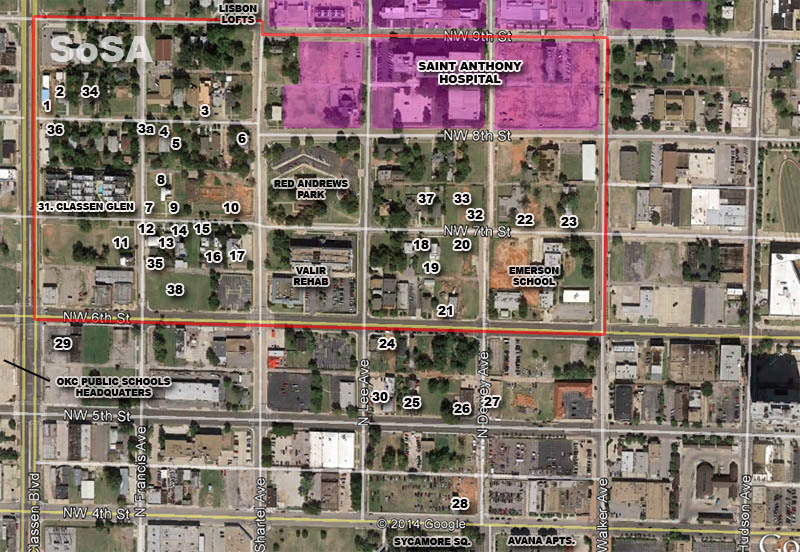 SoSA boundary is shown in red below; this summary includes other projects in the immediate area. Mode Homes announced on twitter today the name for their project will be called Lisbon. Horrible name IMO. Also, the walls started going up on Tiffie house on 7th just west of Dewey yesterday. They are using the ICF's the brownstones used. Apparently it has a link to where the founder of St. Anthonys is originally from. From that link: "currently we are in the process of developing projects in oklahoma city, seattle and los angeles." Thats good company to be in! Lisboa is an extremely popular city with tourists right now here in Europe. It's known for being cheap and stylish at once. So perhaps these m lofts will be cheap and stylish? Well, one can hope..ha. We're in Oklahoma, we have enough cheap, just please give me stylish. Yeah Sparty, but do you like the name of the development. Just think of the marketing pieces. Going to be a tough sell. I don't know why? It wouldn't even be the only urban housing development in OKC named after a European city (The Aberdeen). I think it's a cool name. I like the name... kind of a throwback. Much preferred over some other such played out name trends such as DW3LLING or 7even 8teen NW 9inth St.
Also, no one is going to make a decision on living there based on a name. I have no problem with the name Lisbon. I think it should be "The Lisbon at Midtown Heights"
I think sometimes people strain to be TOO cool and come up with cool street names. They just come off as Debbie Boone doing rap. No it's not. The place is going to sell itself. I've seen drawings and it is modern and stylish and the price point was more competitive than our other downtown projects. It's a small property and will probably sell out quickly. The name will have no relevance. None. Yeah I really don't think the NAME of a development project is something that makes or breaks a deal.. metro, you work in PR, I'm sure you are aware of the practical limitations of that. No arguing with your real world experience college boy. I'm just ready for you to start work and see how things work in the real world.